A proven path to becoming the guitarist you've always imagined. "When I first started playing the guitar, I fell in love with a recording of Asturias and wanted nothing more in life than to play it." 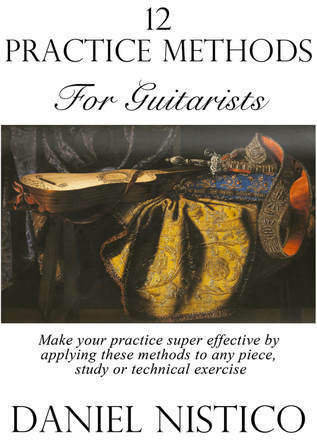 • You probably have similar dreams of playing some of the guitar's most treasured pieces. • You want playing to be effortless so that you can focus on the music and move people's hearts. • But the journey is rough and you can't find a clear path to realizing your dream. - You either just noodle around or get frustrated at your lack of progress. but nothing seems to help you develop like you want to. - Every time you play for people, things go wrong! This is done with the guidance of someone who has performed around the world and who teaches guitarists worldwide, from passionate amateurs to serious career building professionals. Most resources out there don't customize things specifically to you and your needs. You've probably studied many books and videos, but how do things usually turn out? Students who study with me get everything customized to them, meaning every piece of information is actually used. Your lessons are recorded and available to download on Skype immediately after your lesson. It's easy to read information, but actually using it and tapping into its power takes some work. My students work hard and the results pay off. They frequently send me videos of their playing, which I give feedback about. These students are showing how they have applied the information they learned to their playing. Below are four of my students: Ian, Jason, Sean and Nick. - Ian was working on using intentional rubato and adding expressive color. - Sean was working on rhythmic clarity and control. Where do you ask serious and specific questions you have about playing... Online forums? Facebook groups? What kind of answers will you get there?... dangerous ones that can harmfully impact your playing. What if instead, you could write to an expert who has devoted his life to the guitar. The quality of answers you get will help move you in the right direction as quickly as possible. My students are constantly in contact with me, because I believe your instruction time deserves to be more than just a once a week. Students can choose to fill out a practice journal that is submitted straight to me. This allows me to track what they're doing and advise and/or send extra relevant material to help. Below is an extract from one student's journal. Note the great detail he went into and imagine how effective your practice would be if you did something similar for every practice session. Want to do even more intensive work that will give you incredible results? 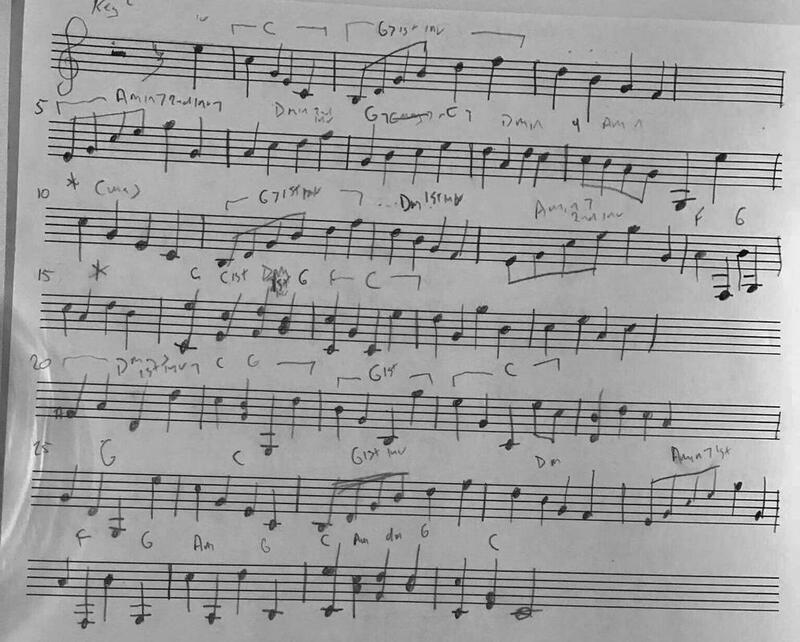 Some students go the extra mile and write out their pieces by hand. They then analyze them. This is a method for learning about music that was used for hundreds of years by composers such as Bach, Beethoven and Mozart. Why is it not used by everyone today? Try it out yourself and you'll feel your head hurt, but the benefits are huge. Most technical exercises that are created and practiced today are boring and pointless. They don't address specific problems either technically or musically. Take this one for example, which was described as being "the most important for your left-hand technique." Let's compare this to the type of exercises that were practiced by 19th century guitarists, like Sor, Aguado, Mertz, Legnani, etc. I call these “exercises in musical technique”, because as well as improving your physical mechanics on the guitar, you also learn the most fundamental building blocks of music. This is like learning a language. You can't learn to read and write English without first learning the alphabet. Music has many alphabets and I've created materials that help you learn the language of music. Learn to understand the function, purpose and meaning of every single note. Imagine what that would do for your technique, interpretation and reading abilities! Learn more about this by reading my article 'A short guide to major and minor triads' click here. Guitarists like Sor, Mertz and Aguado left us invaluable information about how they played guitar. Imagine what it would be like to get a lesson from them! I can show you what techniques 19th century guitarists used when playing their music. Most of it is not indicated in the score and takes very thorough research and experimenting to discover how this style was formed. What’s the result of applying this information? Below is a video where I demonstrate how to apply some of these basic principles to a Sor etude. I would love to share this incredible information with you one-on-one and show you how to apply it to pieces you're working on. Understanding harmony and counterpoint are the keys to understanding the meaning, function and purpose of every single note you play. Problem is, anything to do with music theory is BORING. This is because we usually learn theory from textbooks, which are very watered down and irrelevant. Instead, you can learn about harmony and counterpoint by studying the pieces you're playing - this is the fun way! This approach to learning the most fundamental aspects of music is often sadly neglected by teachers, courses, books, videos and universities. Here's an exercise in first species counterpoint that one student composed, which I corrected (in red). This student then went on to see how the principles he learned worked in the pieces he was playing, which was really awesome for me to see him demonstrate! How much benefit would you get from understanding the harmonic structure of the pieces you're playing? • Imagine how much more you'd learn about your pieces. • Imagine how much more you'd learn about the fretboard. • Imagine how much more you'd learn about music. • Imagine the level your playing would rise to! Just as your car stops running when out of fuel, your progress and potential will be stifled by not receiving regular instruction. You might even progress backwards and make things worse, like what happens to your car if its not regularly maintained. Get the wrong instruction (wrong fuel) and you risk your whole system of musicality and technique breaking down into bad habits. ​You may even risk injuring yourself and spending months or years undoing the damage done. You might be skeptical about taking lessons over Skype, but after giving hundreds of lessons online I assure you it gives powerful results. "I was quite skeptical about having lessons via Skype but you certainly have proven that they can work really well." All that is required is either a tablet or laptop, plus a free Skype account.